Born November, 1988 in St. Catherine- Jamaica. 2011	Recipient of The Prime Minister’s National Youth Award for Excellence in Arts and Culture, Jamaica. 2010-2011	Carreras Scholarship recipient, Jamaica. 2010	First Jamaican to represent in the second edition of the UNESCO Art Camp in Andorra, Spain. 2010	Plaque of Appreciation for Contribution towards THE REBRANDING OF THE J.C.D.C., Jamaica. 2000	Certificate of Appreciation, HEART TRUST N.T.A. In recognition of valuable contribution to “SALUTE THE YOUTH” CHARITY PROJECT, Jamaica. 2007	Certificate of Merit, J.C.D.C. National Visual Arts Competition, Jamaica. 2006	Certificate of Merit (4) J.C.D.C. National Visual Arts Competition, Jamaica. 2006 Silver Medals (4), J.C.D.C. National Visual Arts Competition, Jamaica. 2005	Certificate of Merit (2), J.C.D.C. National Visual Arts Competition, Jamaica. 2005	Bronze Medals (3), J.C.D.C. National Visual Arts Competition, Jamaica. 2005 Excellence in G.C.E Visual Arts, Jamaica. 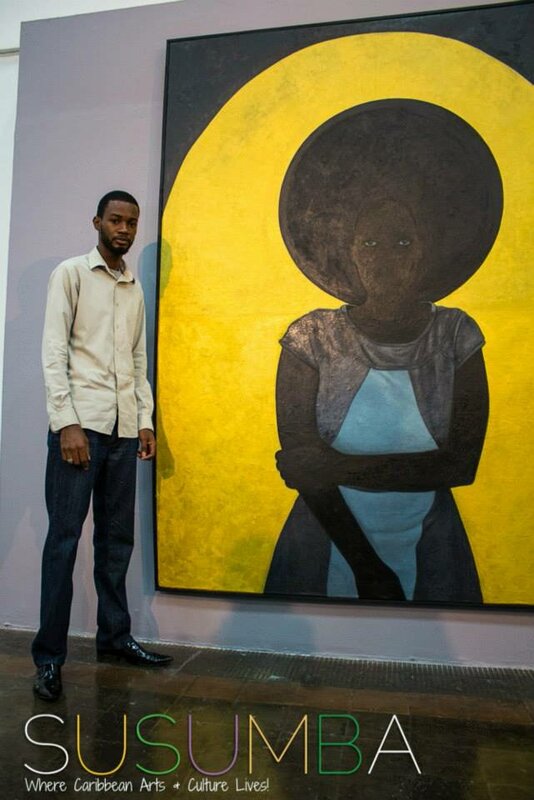 2014 National Biennial 2014, National Gallery of Jamaica, Kingston, Jamaica. 2014	Social Atrocities, Olympia Gallery, Kingston, Jamaica. 2012	National Biennial 2012, National Gallery of Jamaica, Kingston, Jamaica. 2012	Hidden Sense 2012, Stuttgart, Germany. 2011	ART FRESH 2011, Mutual Gallery, Kingston, Jamaica. 2011	Edna Manley College of Arts Final Year Exhibition. 2010	Color the planet, UNESCO, (travel exhibition) Paris, Madrid, Spain, Lisbon, Andorra. 2010	Ara Art Gallery, Ordino, Andorra. Question Me Black, Studio 174, Kingston, Jamaica. 2009	Curator’s selection, Cage Gallery, Kingston, Jamaica. 2009	(October) First Sunday Brunch, Guiding Light Charity, Kingston, Jamica. 2009 (July) First Sunday Brunch, Guiding Light Charity, Kingston, Jamica. 2007	Liguanea Festival of Fine Arts & Photography, Kingston, Jamaica. 2007 J.C.D.C. National Arts Exhibition, National Gallery of Jamaica, Kingston, Jamaica. 2006	J.C.D.C. National Arts Exhibition, Bloomfield House, Mandeville, Jamaica. 2005	J.C.D.C. National Visual Arts Exhibition, Shortwood Teachers’ College Auditorium, Kingston,Jamaica. 2004	NCB Bank, May Pen, Clarendon, Jamaica. 2004	K.I.D.S. Art Expo Auction, Hilton Poolside, Kingston, Jamaica. 2014	July 4, 2014- Susumba website. 2014	June 29, 2014- Jamaica gleaner. 2013	March 26, 2013- Listed among other recipient on National Centre for Youth Development website. 2013	February 10, 2013- Featured in article on Amjamin blog. With works illustrated on page 7 & 11. 2011	Featured in “THE JAMAICAN” magazine on page 56. 2010	September 10, 2010- Listed among other recipient for Carreras Scholarships. 2010	August 15, 2010- Highlights in the Jamaican Sunday gleaner.